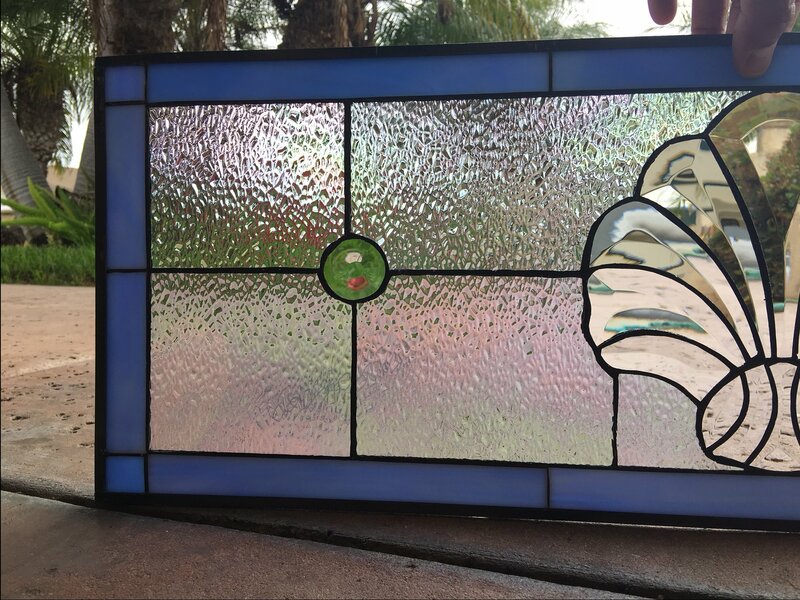 The stained glass comes with hooks, chain and hardware to easily suspend this panel in your window with ease. This panel can be ordered with no hooks on request so it may be mounted. We also can frame and insulate it or make it any size you may need. Custom designs welcomed! Please email us for an instant quote! 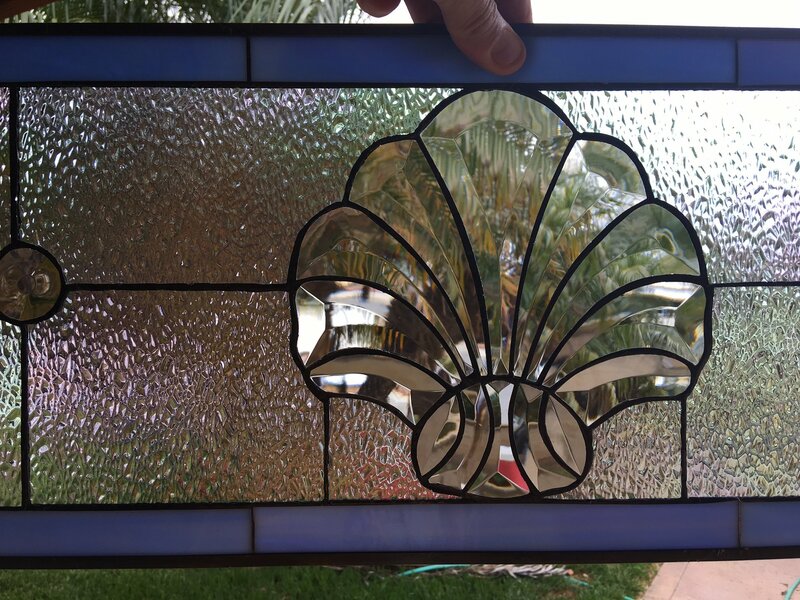 Categories: Windows Made-to-order (Wide Range of Designs), Beach & Ocean, Geometric & Clear Beveled Glass. A quick one minute introduction to our company! 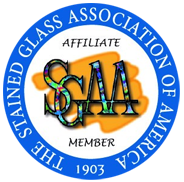 © 2019 StainedGlassWindows.com. © 2019 StainedGlassWindows.com.